The smells of September always stir in me memories of going back to school for the Autumn term. It wasn't all bad; there were the occasional subjects I enjoyed. Well two subjects, English and Art. And fifty per cent of the time English was boring so it was more like one and a half subjects. One problem with Art was that even though I liked it I wasn't exactly talented at it. Despite being one of the few good guys, the teacher kept expecting us to paint and I usually ended up making a mess. Drawing I enjoyed and could be quite good at. But we rarely did drawing. The other problem with Art was that they seemed to think it would be enough if we only did it once a fortnight. Never mind that we had History or French every bloody day. On the weeks we didn't do Art we did something much worse. Woodwork. I still remember my first Woodwork lesson very clearly. We were ushered into the hallowed basement of the wood shop and gathered around as this rough voiced bloke who apparently was one of the teachers filled us in on (a) how dangerous the place was and (b) what the rules were. The main rule that he seemed to make the most fuss about and the one which has stuck with me ever since is the one that made the least sense. I still have absolutely no idea why he was so averse to whistling. The oddness of it struck me the moment I first heard this childish incomprehensible rule. I was only ten or eleven and even I knew it didn't make sense. Woodwork, it struck me, was one of the occupations where surely whistling while you work was required rather than forbidden. In my mind's eye I could just see the jolly carpenter whistling a happy tune as he sawed his way through a plank of wood. I bet Jesus's Dad had whistled. And it's not as if it would have been that disturbing either. The wood shop was a noisy place, circular saws buzzing away, hand tools banging and rasping, the excited chatter of schoolboys and the traffic roaring past on the road just outside the basement windows. Even if it could have made itself heard over the top of this cacophony surely a merry melody whistled by a happy woodworker would have provided a bit of light relief, a softer edge in this world of noise, sawdust and the ever present danger of somehow accidentally cutting your arm off with a power tool. But no. No Whistling seemed to be rule number one, far more important apparently than Don't Lick the Circular Saw When It's Running which didn't even get a mention. 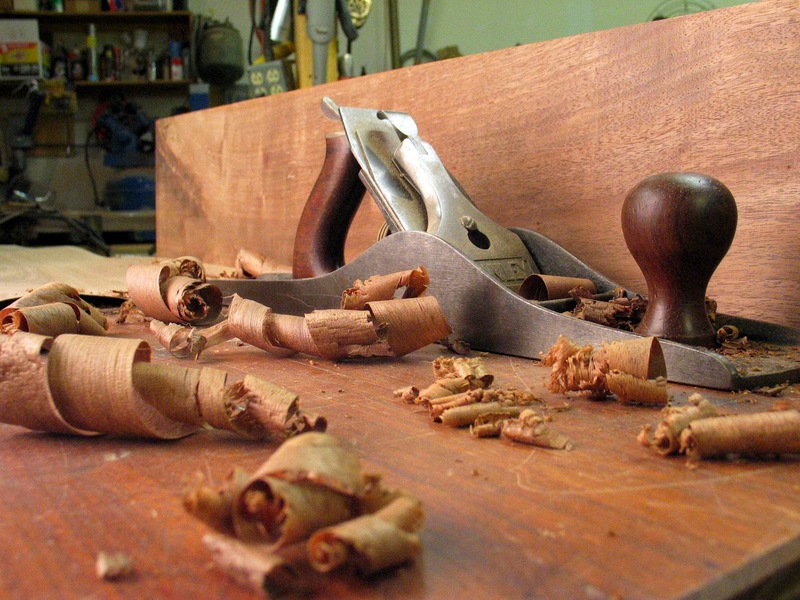 Why did the Woodwork teacher hate whistling so much? Had he been bullied by a cheery postman as a child? Was he allergic to certain frequencies of sound? Would the sound of whistling drive him into a frenzy whereby he would pick up a bradawl and begin impaling as many boys' eyeballs as possible? It was never explained. Back then you didn't ask questions. I never discovered what happened if you did whistle either. I once let out a whistle like sound whilst in there, but before I could get any further an adult voice growled dangerously behind me. "You whistle my lad and God help you..."
God help me? What was going to happen? I was too scared to continue and find out, but the tone of his voice implied that if I did he wouldn't be responsible for his actions. That whistling in Woodwork was such a heinous crime that he was likely to become apoplectic with fury at the sound of it. Boys whispered to each other that the Woodwork teacher had once broken a boy's fingers by smashing a mallet down on them. Was that the punishment for whistling? It was only years later as an adult that I realised why this bizarre rule was in place. Because whistling was probably the most important of the carpenter's tools, the magic part, the whimsy amongst the danger. And the Woodwork teacher couldn't whistle. The woodwork teacher couldn't whistle and hated to be reminded of this inadequacy, hated to be reminded that even twelve year old boys were better than him. This is probably why he ended up as a woodwork teacher than a carpenter. Without the ability to whistle he was only half a carpenter.